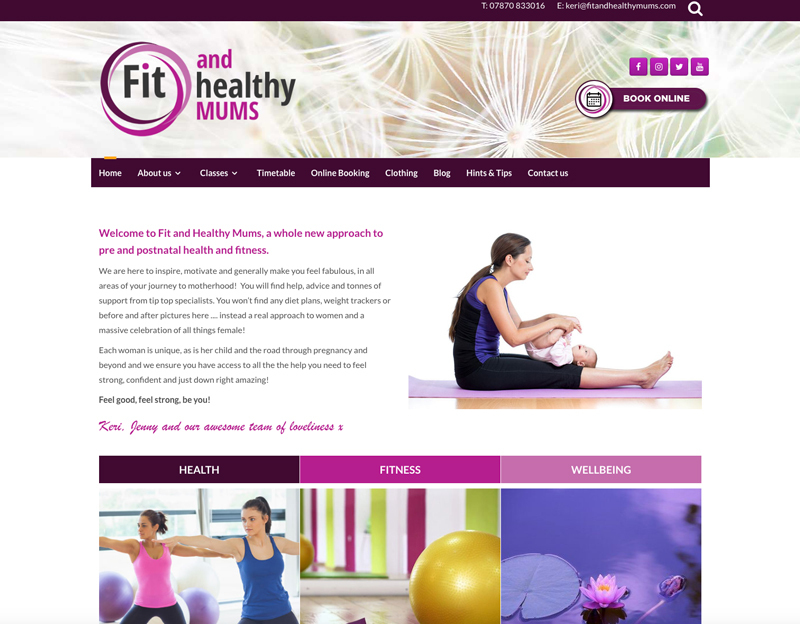 Rebrand and re-build of an old website I produced for Fit and Healthy Mums. The new site is larger, has more classes and online booking facility for classes. I created the new logo and branding too. Fit and Healthy Mums offer pre-natal and post-natal exercise classes in Oxfordshire.